Annie Sloan has two main grey’s sitting under her neutrals range, Paris grey which is a blue based grey and french linen which is a brown based grey, both stunning greys in their own rights which can then easily be lightened and darkened further by mixing with other Annie Sloan colours to give you endless shades of greys. 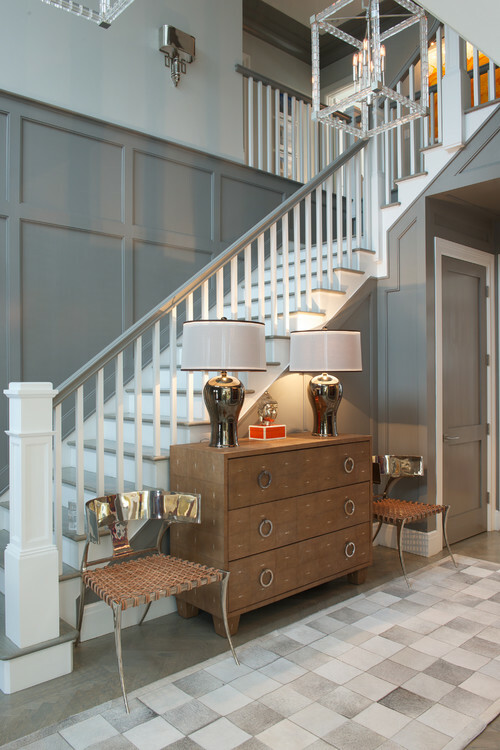 Sometimes we get people coming in wanting a “medium grey” where Paris Grey is too blue and French Linen too brown. 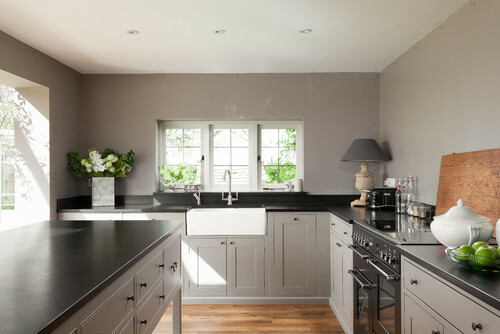 This week for our “Mix it Monday” we are sharing a beautiful “medium grey” colour recipe with a “beigey” base, the best way to describe this is it’s a beautiful soft pebble grey. Created using Old Ochre and Old Violet. 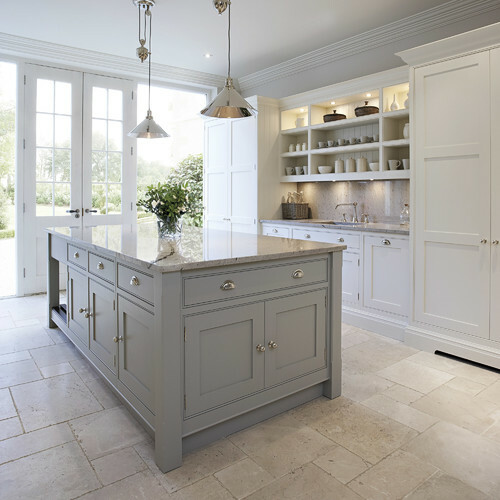 A beautiful sophisticated grey and timeless. 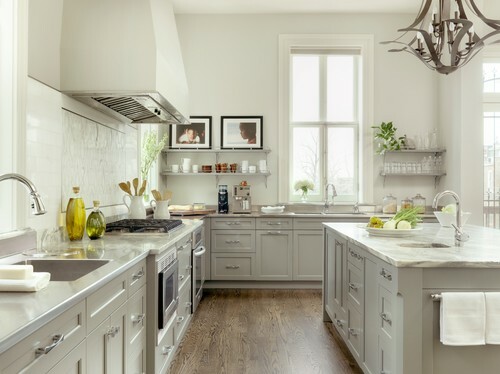 Lighter greys are perfect for creating a sense of calmness in a room with the darker greys creating more of a dramatic moody setting. 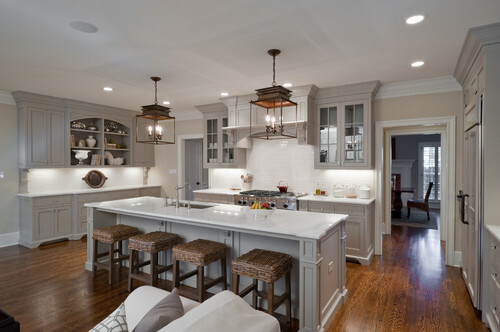 When thinking about greys, some things to consider are, what other colours are in the room, what are your accent colours, is it more contemporary or classic, are you after a bright grey or more of an aged grey. Does the room have more earthy or coastal colours? 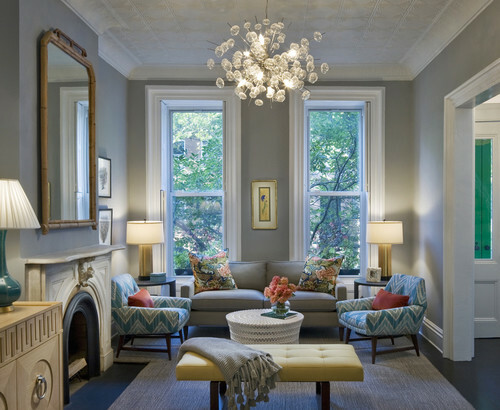 For added inspiration we have collected the following images for you on how to use grey in your interiors. 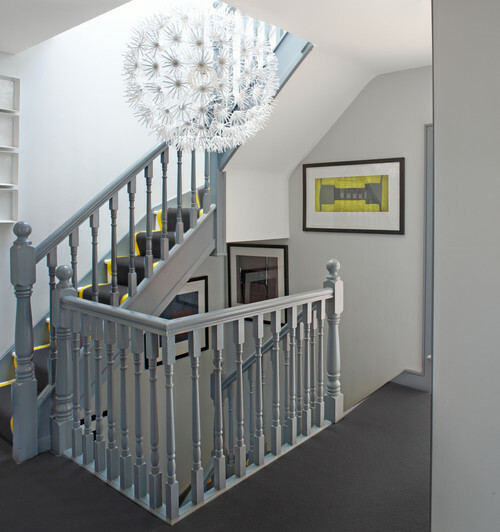 For advice on the finding the best grey for you, come in and see us, bring a photo of the room you are looking at introducing grey into and the piece you are looking painting. Posted in Paint Class, Paint recipes. Bookmark the permalink.